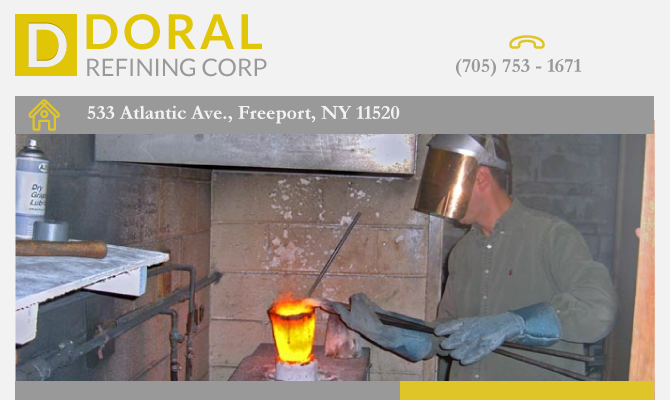 Doral has evolved into a nationwide full-service precious metals refinery based in Freeport, NY. Doral currently services individual customers and commercial accounts in the jewelry, dental and manufacturing fields. We also support dental societies across the country by exhibiting at local dental meetings. Whether you are buying or selling metals, our goal is to provide each customer with unsurpassed personal service. We strive to provide the most prompt and accurate returns in the industry.